Onboarding software for staffing companies isn’t a luxury. It’s a necessity. A typical employer may see new hire paperwork as a nuisance they have to deal with. But a staffing firm that focuses on hiring and onboarding new people can’t afford to be bogged down in paperwork all day. Focusing on repetitive administrative work takes valuable time away from focusing on talent acquisition and placement process. Why Is Virtual Onboarding Better Than Paper? 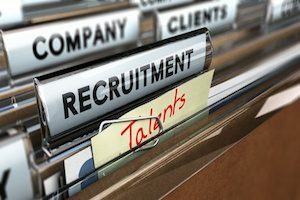 Ideally, a paperless process using onboarding software for staffing companies is one that directly impacts the satisfaction of new hires, internal staff, and clients. There are many different ways to go from a paper-dominated process to one that’s paperless. But not all of these methods actually save time and improve the onboarding process along the way. For example, simply implementing a few fillable Adobe forms isn’t going to resolve the bottleneck of new hire paperwork. It’s important to choose a solution that is comprehensive. ● Does the software enable you to fax or scan digital copies of important documents to attach to a new hire’s digital record? ● Can the solution integrate with applicant tracking, payroll, background checks, and other resources for an end-to-end solution? ● Is WOTC screening and processing available to capture valuable tax credits? ● Is the web-based storage of all new hire documents and information protected so it’s more secure than keeping paper files in a locked office? ● Can you easily customize the onboarding process with different forms for a variety of positions or sectors? Can you add custom forms and policies for each end client? Transitioning to an automated process takes some time and effort, but it’s easy to keep running once it is in place. In contrast, managing paper forms gets more complicated over time. The constant change in employment laws, tax regulations, and industry requirements add more complications. It makes sense to start the shift today to a more streamlined business model. Contact our team to learn more about our unique onboarding software for staffing companies. What is WOTC Screening and How Can it Affect My Bottom Line?